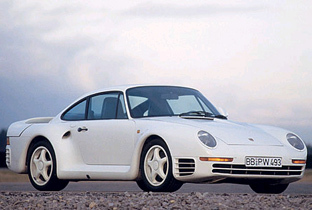 Porsche began the development of the 959 in 1981. This new car was to feature an all-wheel-drive transmission and compete in Group B rally racing where the all wheel drive layout could be tested and enhanced. 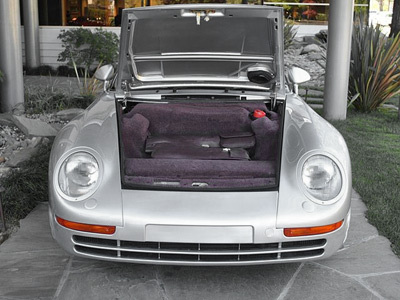 The road legal version of the Porsche 959 was first revealed in 1985 at the Frankfurt Auto Show as a1986 model. 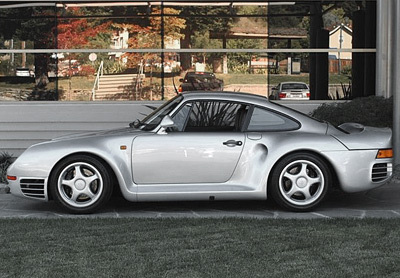 In total only around 250 Porsche 959's and the race variant, the 961, were made. Porsche made a loss on every single one they sold. 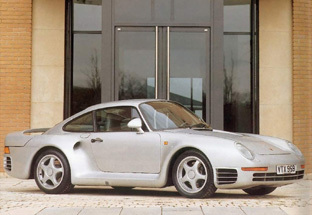 Powered by a twin turbocharged 2.8 litre flat 6 engine, the 959's body was constructed from aluminium and Kevlar composite with a Nomex floor. 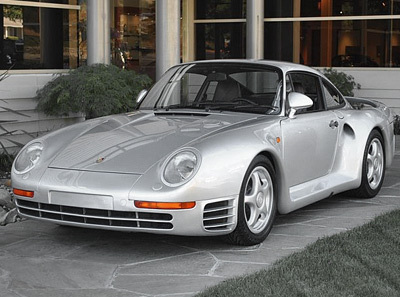 This lightweight yet incredibly strong chassis helped the Porsche 959 achive its staggering performance, 197 + mph top speed, and 0-60 mph in around 3.6 seconds. 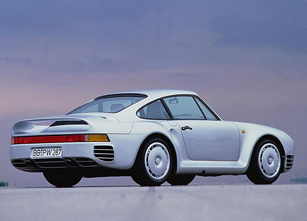 Other technological highlights of the Porsche 959 included active dampers, speed-activated aerodynamics, twin turbochargers setup in a sequential format, and a ridiculously comlicated and effective torque-splitting four-wheel drive system. The car was so good, that despite being a supercar able to mix it up with the best from Ferrari and Lamborghini, a Group B rally version won the Paris Dakar rally in 1986. Try doing that in an F40! 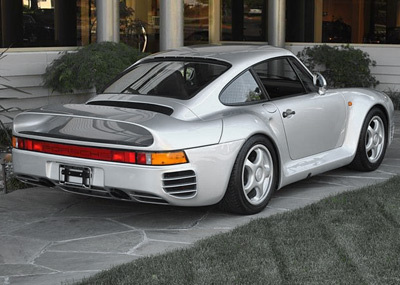 The engineering and aerodynamic technologys which the 959 helped to develop throughout its racing career influenced and shaped all Porsche models, but more specifically the legendary 911, which might not be quite as good as it is today if it were not for the 959.